This project was undertaken for the Women’s Engineering Society (WES), working in association with Kataytik and funded by the Royal Academy of Engineering. 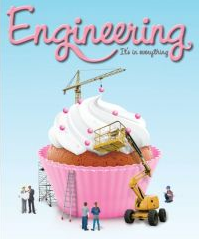 A summary of investigations into the careers advice and influences of background on subject choice among girls and provides the background to a poster campaign to inspire and connect with teenage girls and pass on to them the advice and experience of undergraduate engineers. The full data report considers the key transition stages of young people from school to engineering and technology courses in higher education as well as from undergraduate courses in higher education to employment and/or further study. The report also highlights areas for possible interventions to help break the accumulated disadvantage felt by women and BME graduates from engineering and technology higher education courses. The report is split into two parts, reflecting the distinctive elements of the project. Part one presents an updated analysis of the HESA data presented in Set to Lead with an additional review of the effects of the ethnicity and socio economic background of engineering and technology students. The images for the final ‘cupcake’ poster can be ordered from the WES office (info@wes.org.uk) and downloaded from the project site. The poster design and colours were considered and tested using the target group of girls. The poster detail can be found on the project website. The original work upon which this report is based was the HE STEM funded Set to Lead project delivered by a collaboration between Oxford Research & policy, UCL Engineering and Katalytik. A framework for identifying target groups of girls for interventions was developed for this project based on descriptions in the literature and on the field work carried out as part of the project. Girls can be grouped into those that naturally have a positive predisposition and attitude towards engineering and technology subjects – the “do” group – and those that “don’t”. Girls in the “don’t” group may be capable in STEM subjects. Among the “do” group are those who “will” go on to follow a path that leads to STEM A Levels and possibly to the study of engineering or technology beyond compulsory education. Some of the “do” group, however, have clear ideas of careers outside engineering and technology such as wanting to be a doctor, lawyer or part of another clearly identified profession and hence “won’t” go on to engineering or technology careers. Among the “don’t” group there are girls who have clear ideas of careers outside engineering and technology and hence also fall into the “won’t” group. There is also a group from among the “don’t” girls who “could” follow engineering and technology paths. 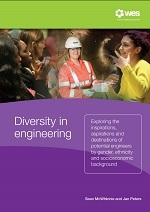 This group is of particular interest: they are the girls that “could” follow engineering or technology careers as they are capable in STEM subjects, but whose personal identities and influences are very different from the “do” group and consequently do not have a positive predisposition towards engineering and technology. The main challenge is to engage the “could” group in discussion and debate during the critical period between year 5 and year 8 (ages 8 to 13) so that they have an innate awareness of what engineering is about.